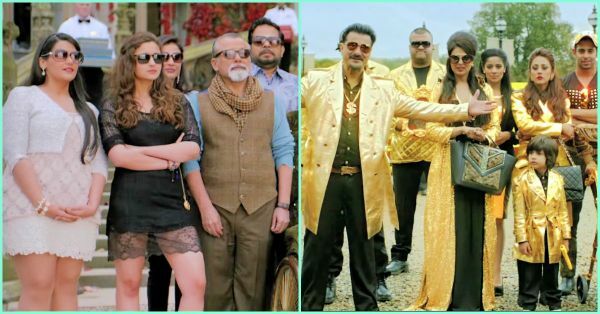 Punjabi Vs Sindhi: Who's Got The More Blinged Out Wedding? Butter chicken vs Sindhi kari, diamonds versus bling: it’s a battle of giants! And while we love both (the people are fun! ), we love to pitch one against the other and see the sparks fly. So read on and tell us who wins this smackdown between Punjabi vs Sindhi weddings! Punjabis: The jhappis are tight and the greetings are even louder. From the decor to the dessert, you better believe that everything will be covered in glitter! Sindhis: Never do a thing unless you can super-size it. They’ve got bigger chandeliers, more dishes and more guests than anybody! Punjabis: If you don’t know that the Punjabis are trendsetters, especially when it comes to jewellery, then where have you been living? Whether it is polki or meenakari, from jhumkis to paasas, the Panjus do it bigger and better. Sindhis: Trends are so transient, darling. We stick to diamonds, the more the better! Punjabis: This the proud community that has given us the dance that is performed by everybody, at every wedding - the bhangra! Sindhis: You just need to play ‘O Laal Meri’ and the entire wedding party would be on the dance floor. 4. Khana is super swad! Punjabis: Butter chicken, daal makhni and naan - we’ve died and gone to heaven! Sindhis: Dal pakwaan, kadhi, koki, aloo took, sai bhaaji, boondi raita, papad...and the dishes never end! Enjoy more fun stories on the super cool POPxo app…Click here to download! 5. Kapde shapde full style hain! Punjabis: No one looks bad in a Patiala salwar! And then you accessorise with the cutest parandhis and the brightest colours. Sindhis: You ain’t seen bling till you seen a Sindhi bride’s lehenga!